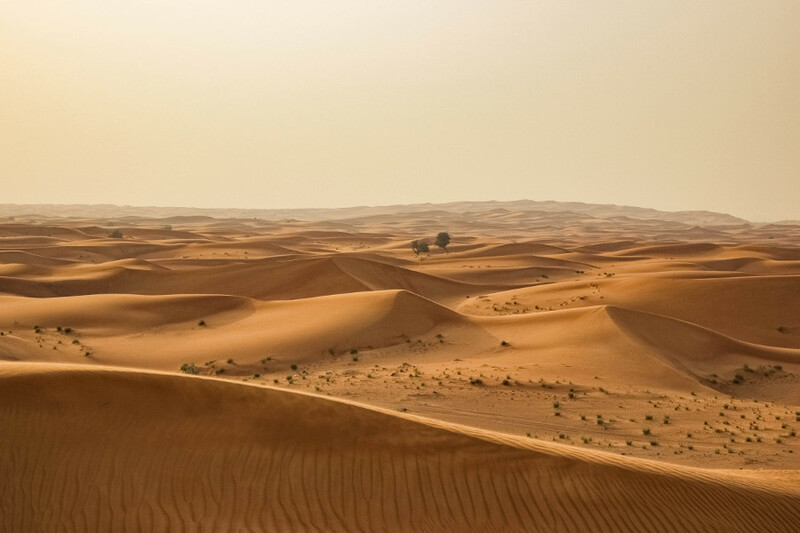 Dubai; even the name elicits a feeling of magic, bringing to mind an image of this diverse desert that offers everything you can imagine, from luxury shopping to riding camels, to so much more. From the moment you land at the airport, you simply know you’re on the cusp of an adventure. Upon seeing the thousands of people from around the world who have traveled to the heart of the desert to explore this fast-growing center, you know that booking your tickets to Dubai was one of the best decisions you’ve ever made. 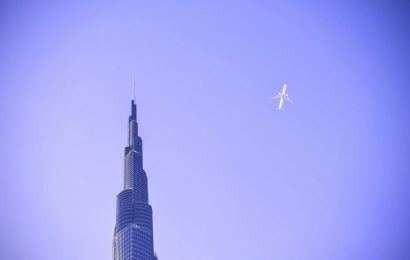 As I entered the emirate, my eyes fell upon the tallest building in the world and the hotel with seven stars, and I knew: Dubai had already stolen my heart. 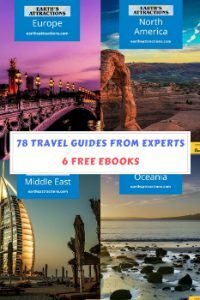 Where is Dubai and how to get there? Dubai, located in the United Arab Emirates and hugged by the Persian Gulf, is a business and tourist destination that attracts millions of people every year. 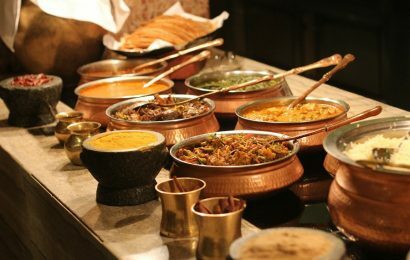 If you’re seeking to experience the Orient at its finest and be surrounded by some of the wealthiest people in the world, then this is the place to be. 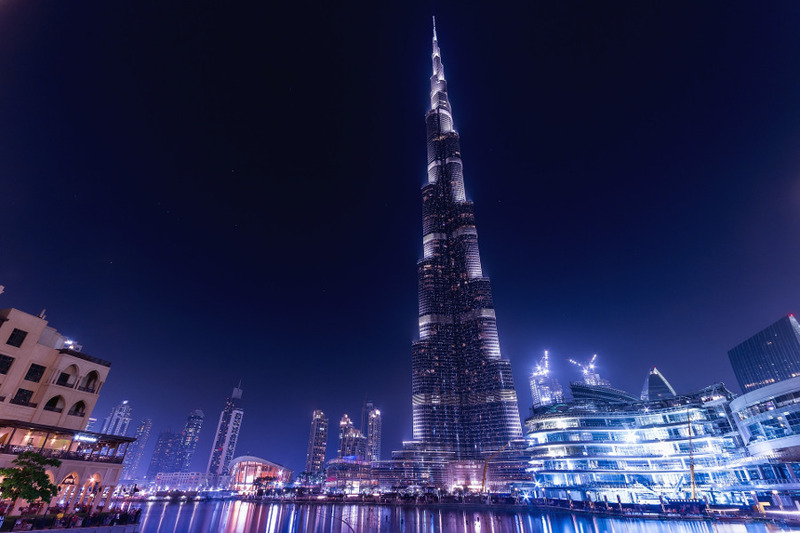 Getting to Dubai is not a challenge since this luxurious, modern city is well-connected with almost every bigger city in the world. Just book your flight and let the adventure begin! In the heart of the Middle East yet only a few hours away from most European countries, Dubai is the closest to wonderland you will ever get. This place offers accommodation for everyone – from Airbnb apartments with views of the Burj Khalifa (the tallest building in the world) and Dubai Creek, to something supremely luxurious such as a hotel suite in a skyscraper that reaches the clouds. Imagine how it will feel to wake up atop the Burj Khalifa, looking down upon the humanmade islands forming the shapes of the world and a palm tree. How amazing will that be? Pay as little as twenty dollars or as much as two thousand dollars per night; you can find what works for you. 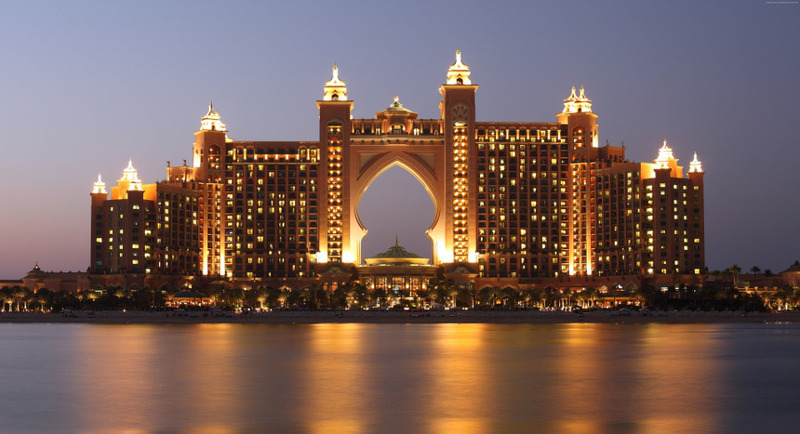 You can book your hotel in Dubai here. Dubai offers so many places to be seen and adventures to be experienced that usually people don’t even know where to start. 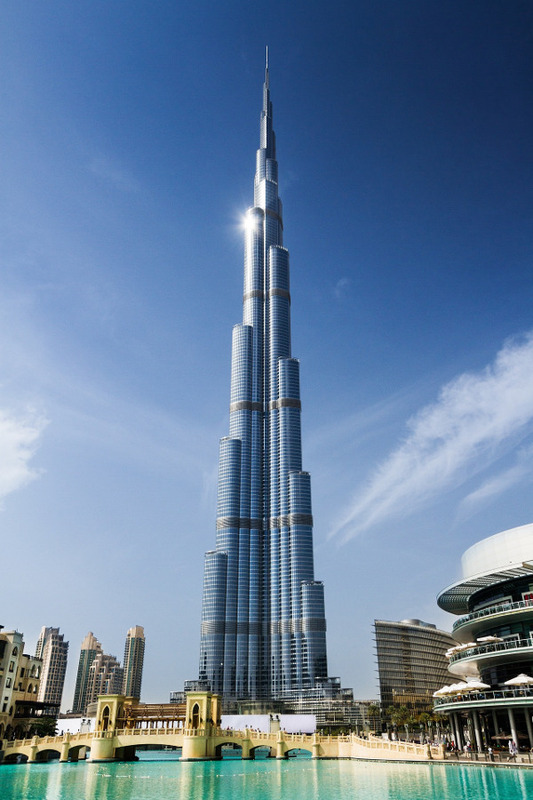 Measuring more than 828 meters, Burj Khalifa is the tallest building in the world. Once you take the longest elevator ride of your life and step out onto the rooftop, your eyes will witness the most magical view of the entire city and desert. I was in awe when I first entered the mall – not only because it’s enormous, but also because there are more than 1200 stores. This is literal heaven for shopping and fashion addicts. If you have extra cash, this is where you should spend it. Can you get lost? Well, it’s the size of two football courts. Luckily, if you do, you’ll have plenty of stores to browse until you find your way again! 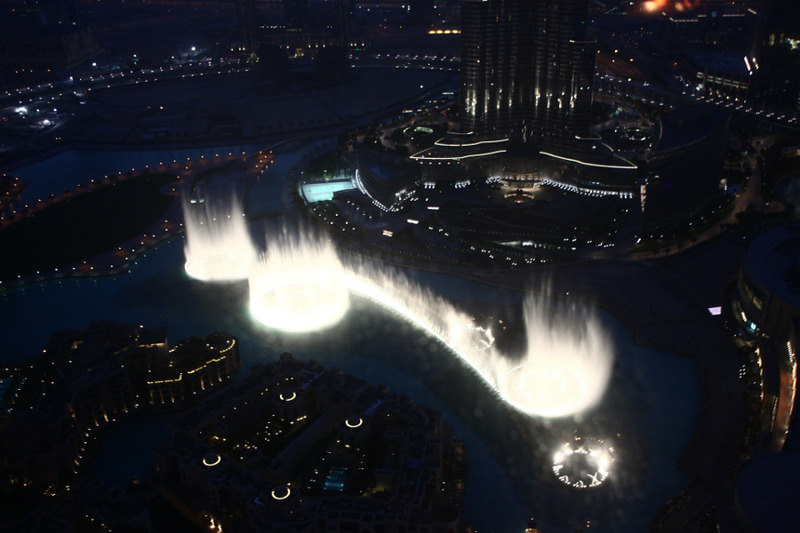 This isn’t just any fountain; it’s the most artistic water show I have ever seen. Lights, music, and water woven together will quickly make you lose track of time, entranced by how the water jumps up in the sky in all different shapes. Don’t miss it at night; the show starts every thirty minutes. This is the eighth, man-made Wonder of the World. As the name suggests, the site resembles a palm tree, and it’s huge. Actually, it’s a small city within the city, offering sandy beaches, buildings, marinas, restaurants, and shops to all visitors. Almost 2km in length, the Jumeirah Beach Residence is one of the most popular beach destinations for tourists. Catch the sun rays as the skyscrapers behind you have your back. It’s a lovely place to relax and enjoy – and to take the best Instagram pictures. This is by far one of the coolest activities to consider if you go to Dubai. Riding camels, picnics on the sand, the most breathtaking sunsets you have ever seen – all will leave you speechless. After sunset, we relaxed around the campfire in front of the comfortable camping tents. I had never before heard of this place before landing in Dubai, and now it’s possibly the strongest pull for me to return. Only half an hour away from Dubai, IMG Worlds of Adventure is a dreamland for people who adore amusements parks. This place will make you forget about time; it does not matter how old are you or what your favorite cartoon is, you will have a smile on your face the entire time you are here. I hate to admit it, but it’s far more amusing than Disneyland. Just when I thought I had seen everything in Dubai, people recommended Dubai Parks and Resorts to me. What can I say? I wish I stayed longer so I could roam and explore this place properly. There is everything in there from Bollywood Park to the Transylvanian castle, to Legoland. See the Dubai miniature (not so small though) made entirely of Lego bricks. The surroundings are so versatile you will forget that you are in the heart of the desert. It’s impossible to miss Dubai Creek once you get there, but there is more to do than simply notice it. I suggest you take an Abra (water taxi) from Deira Old Souk and sail to Bur Dubai Abra Station. It will take about five minutes of sailing to get from one place to another, and is well worth it to see the city from the creek. 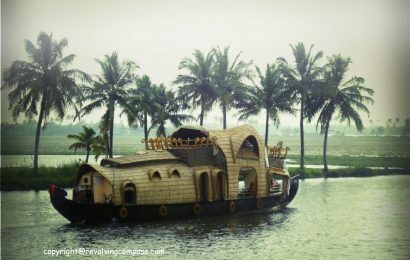 The view is fantastic, so make you have your camera at the ready to capture it (the good thing is that the Abra doesn’t serve more than 20 people, so it won’t be crowded). The architects of Dubai are wizards – whatever you feel like doing there, it already exists. Atlantis Waterpark is the place to go if you want to see dolphins or spend the day swimming in the largest pools and sliding down the craziest waterslides you have ever seen. Oh yes, everything is possible in Dubai and skydiving is no exception. Make sure you make the most of your time and take advantage of the opportunities. I was a beginner so I did it in tandem with a professional skydiver, and it was breathtaking in the literal meaning of the word. There are two locations from which you can skydive – one right in the center and the other in the desert. 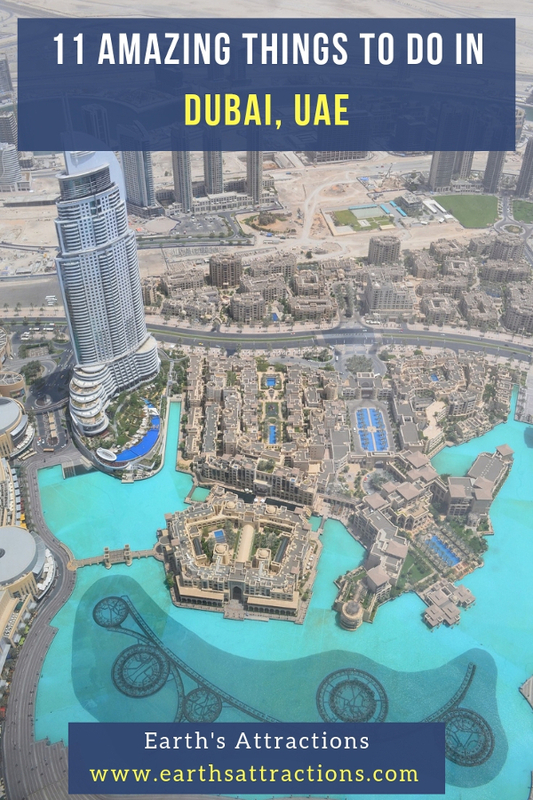 Even if you yourself are too scared of heights to jump but still want to be part of this adventure (in a way) you can watch the adrenaline junkies skydive from the SkyDive Dubai Café. Dubai is the place to be if you want to experience luxury and adventure all at once, and in one place. I guarantee you, you will fall in love with this city. It will remain in your best memories for years to come as the dreamland filled with extravagance, friendly locals, and travelers from all around the world in their own pursuit of happiness and adventure. 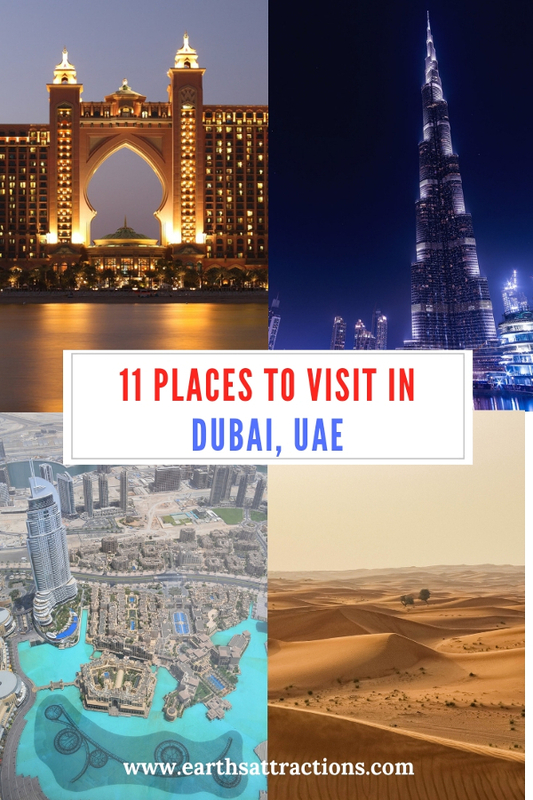 I have pointed out eleven top locations in Dubai, but rest assured that the moment you step onto that Dubai desert soil, there are countless more places waiting for you, all worthy of your time and money.